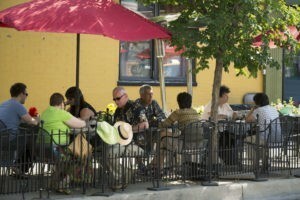 One of the best ways to experience the neighborhood is by checking out the food scene. In Lincoln Park, you can get a taste of everything that makes Chicago one of the world’s best – and most diverse – culinary destinations. 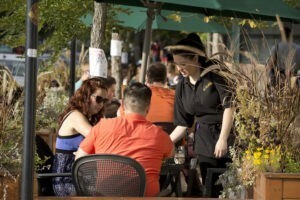 Whatever your taste buds may fancy, there’s no denying the fact that Lincoln Park is a foodie’s dream! Looking for that perfect place to celebrate a special occasion? Maybe you’re trying to find the hip new spot to take that out-of-town guest? Restaurants are scattered throughout the neighborhood, making it easy to pop in to a local café, gastropub or market after a full day of outdoor fun, shopping and catching the sites. From family-friendly and more affordable eateries to well-established restaurants, you’ll find a range of dining options here in Lincoln Park. In 1988 the Goose Island Beer Company launched in Chicago on Clybourn in Lincoln Park, helping to establish both the area and the craft beer movement as the next big thing. Goose Island’s footprint in Lincoln Park is just one example of the dining experiences that started in this neighborhood. Another nationally-renowned brand, Lettuce Entertain You, opened its first restaurant right here in Lincoln Park with RJ Grunts, just across from the Lincoln Park Zoo. 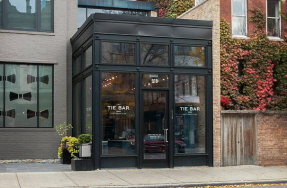 Beyond all of Lincoln Park’s firsts, there are of course the new and trendy hot spots popping up throughout the neighborhood. Places like de Quay, where you’ll experience a fusion of Dutch and Indonesian cuisine, Knife & Tine, which takes the average American dish and puts their distinctive culinary twist on it, and many others, provide plenty of options for anyone having a night out. Every winter Lincoln Park eateries provide a warm getaway for diners, with an inviting ambience and hearty seasonal dishes. Yet it’s the spring, summer and fall seasons that really allow Lincoln Park restaurants and bars to shine when they open their sidewalk cafés for al fresco dining. 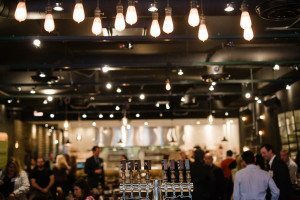 Lincoln Park sure has great food, but is also home to some of the hottest places to go for a night out on the town. From cocktail lounges and authentic English and Irish pubs to sports bars, dives and everything in between, you can easily grab a local craft beer, swirl that glass of Pinot Noir, or sip that perfect tropical cocktail. 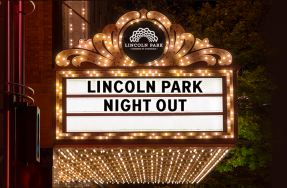 Couple that with the country’s best comedy clubs and music venues and your night out in Lincoln Park is complete.